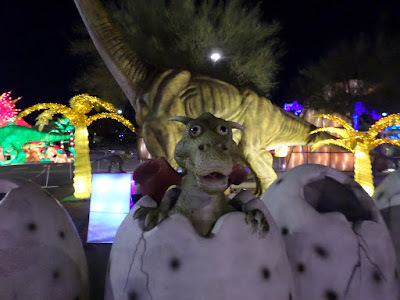 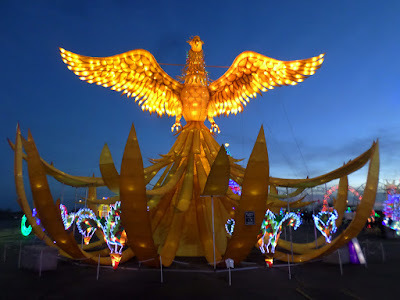 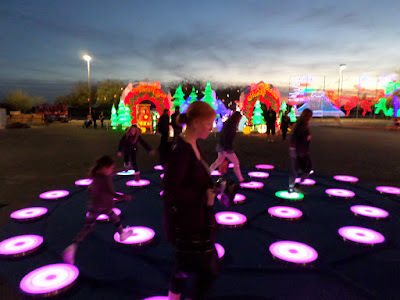 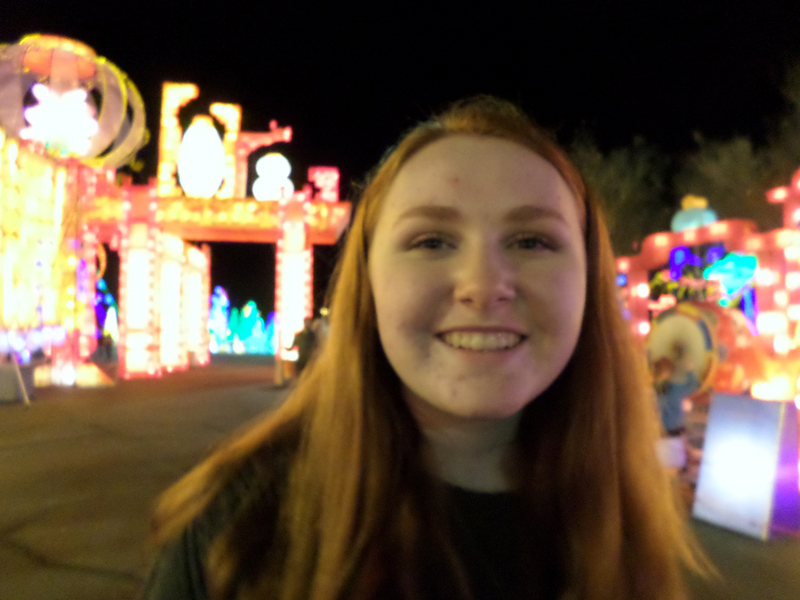 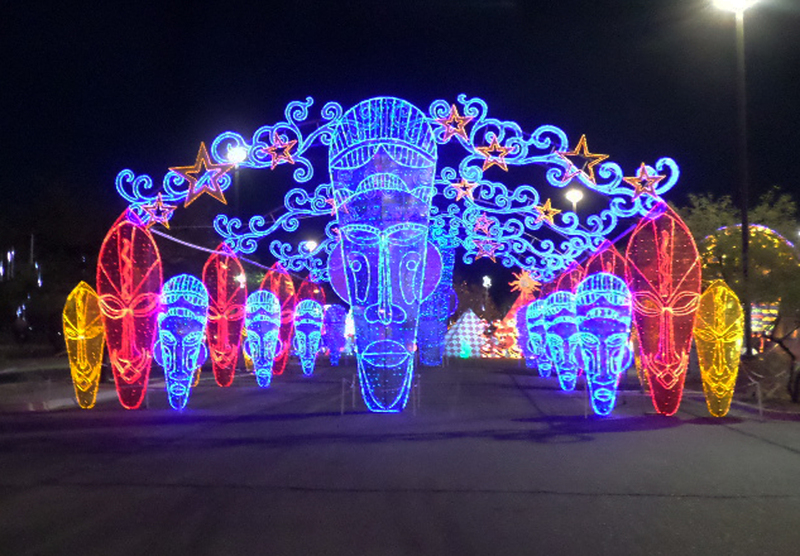 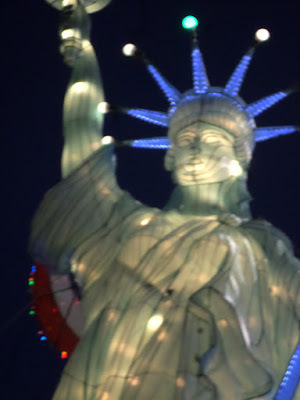 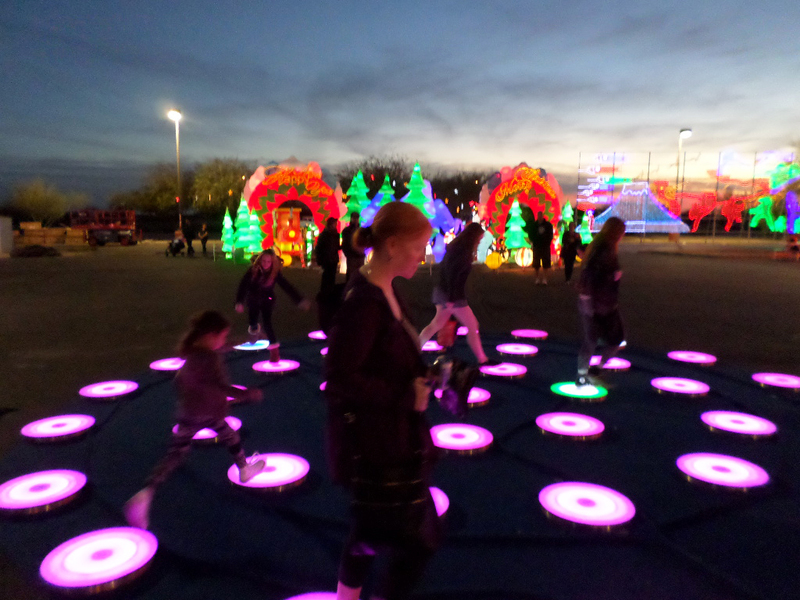 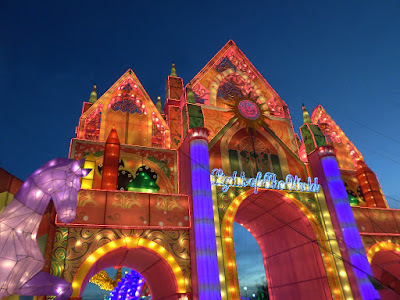 For the final week of our holiday break we took a day to visit the "Light of The World Lantern Festival" which boasted acres of lights, an acrobat show, amusement rides and international food vendors. 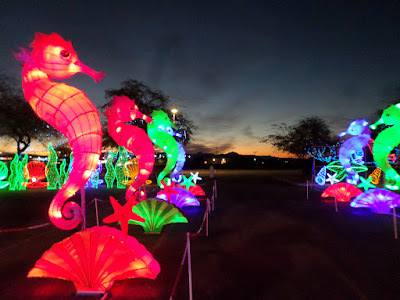 It was a bit of a drive out to Chandler during rush hour, but well worth it! 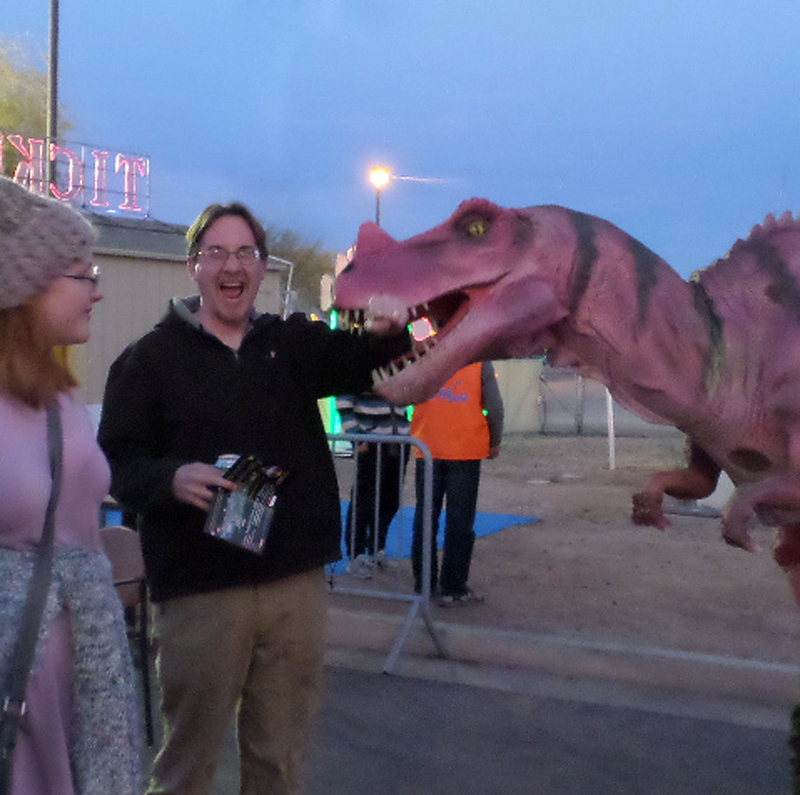 Though, right away Mike was attacked by a dinosaur! 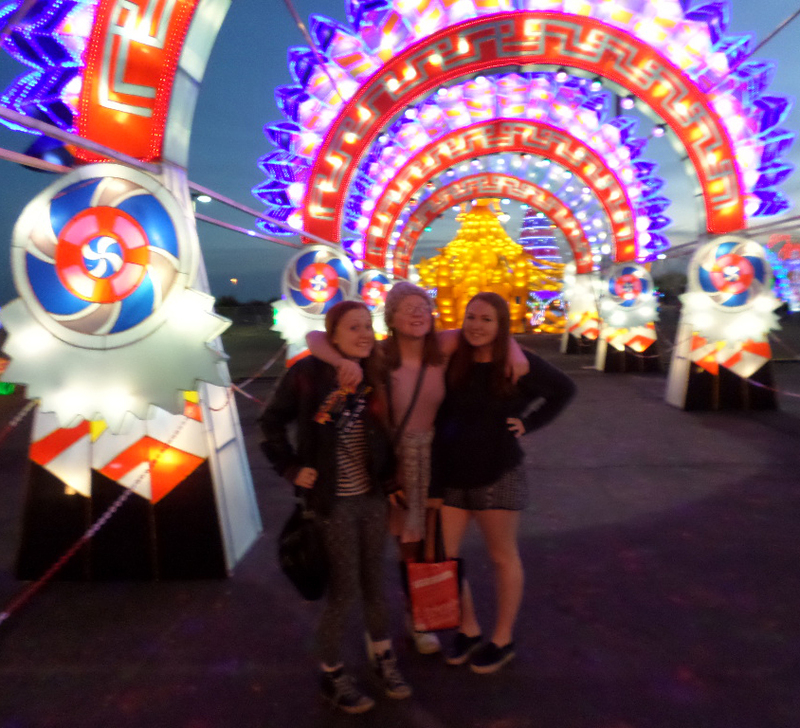 The girls in the entrance tunnel. 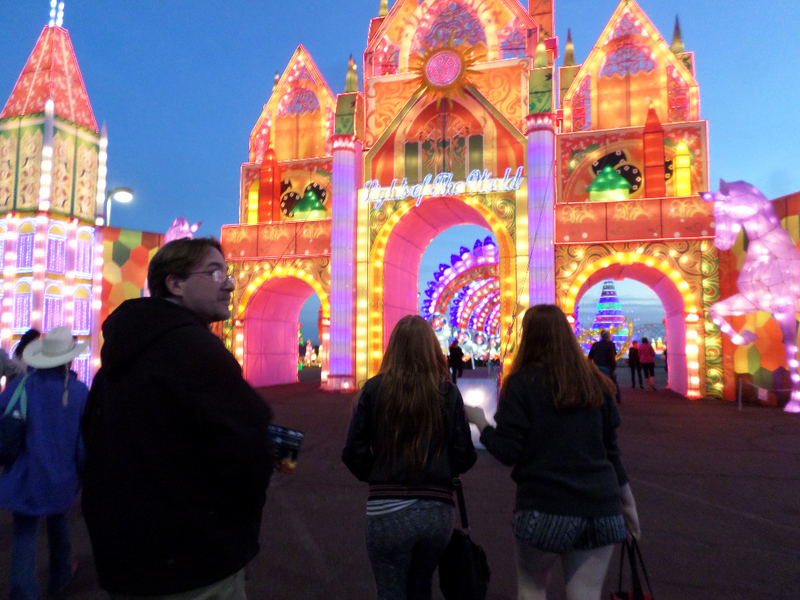 We took a minute to walk on the changing light steps. 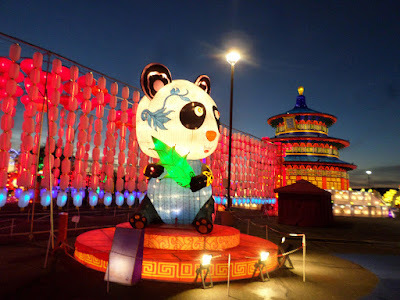 The panda by the China light display. 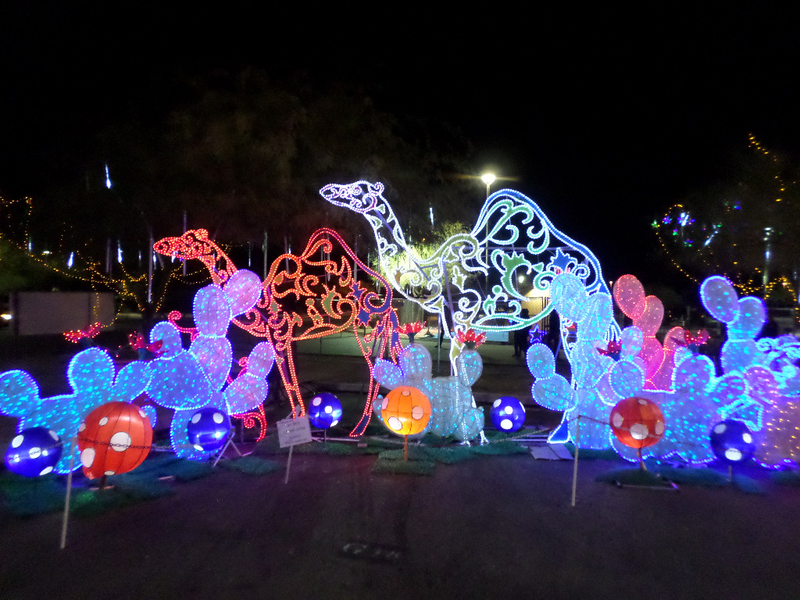 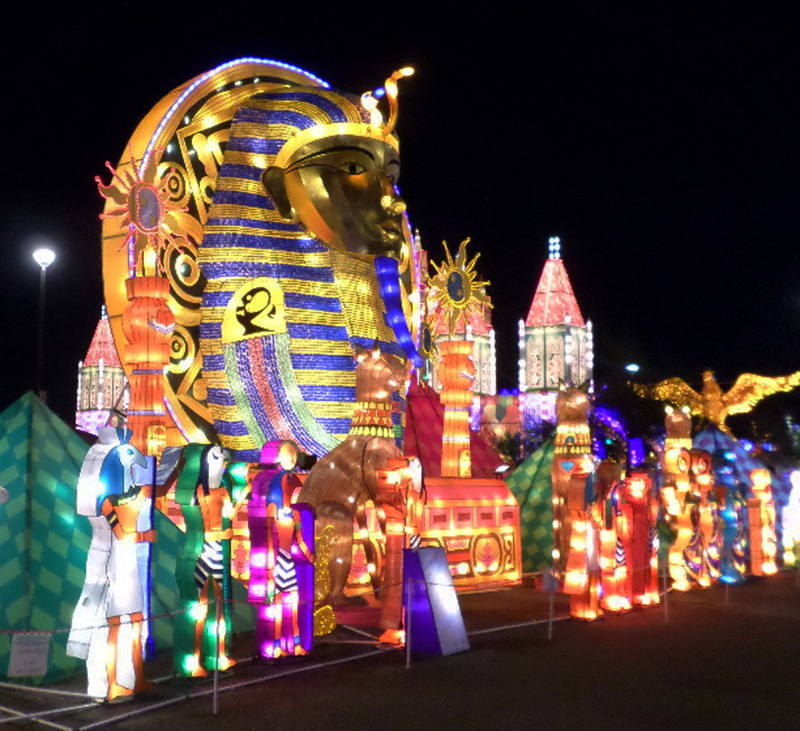 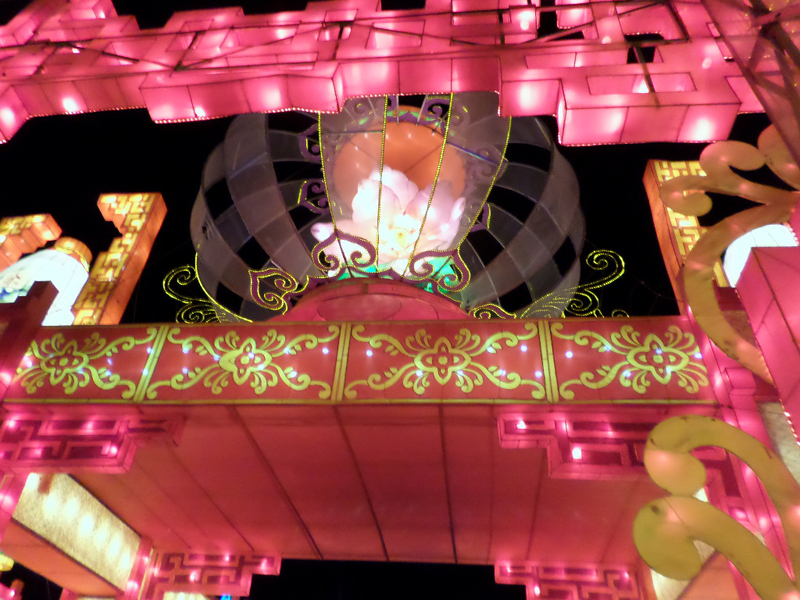 Most of the festival was influenced by China, as it's based on the Chinese Lantern festival. 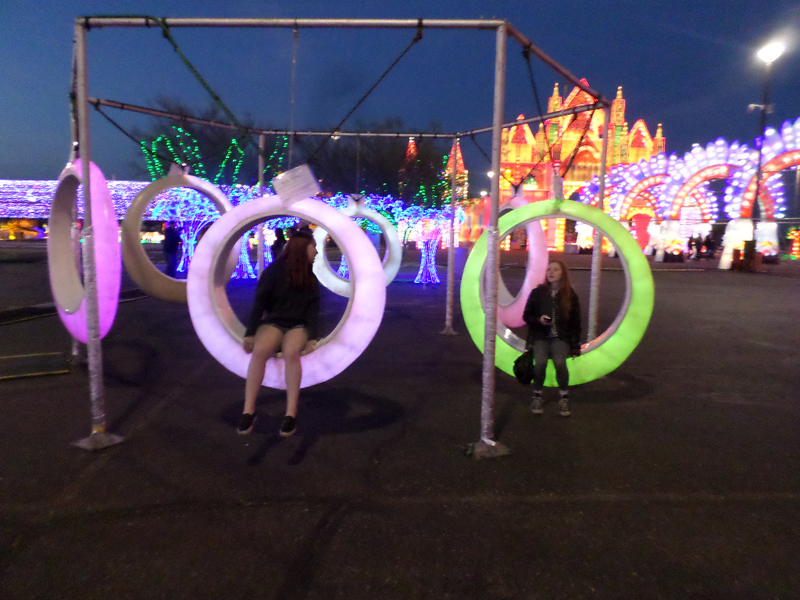 Phoebe and Chloe on light swings. 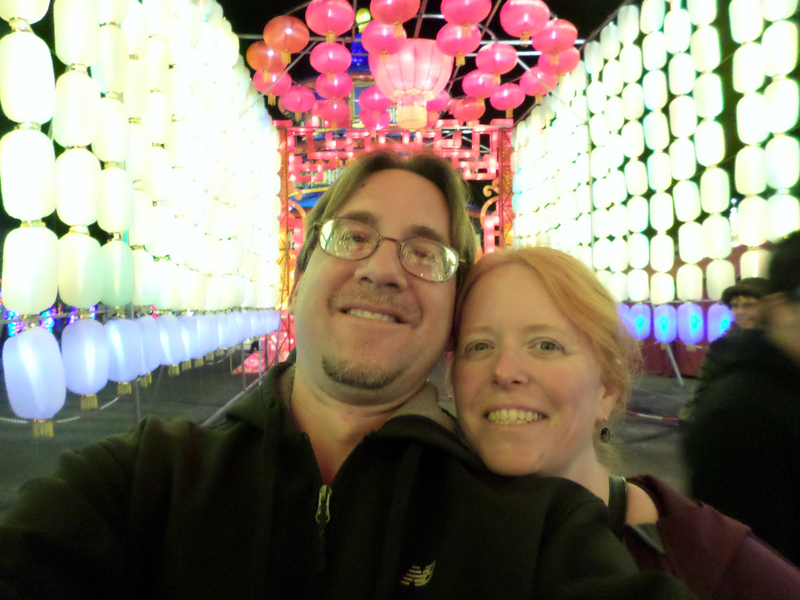 Mike and I in the lantern tunnel. The pretty lotus flower on top of the lantern tunnel. 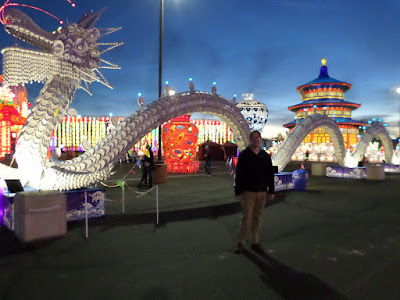 Mike by the dragon. It was made entirely of china plates and was really incredible craftsmanship. 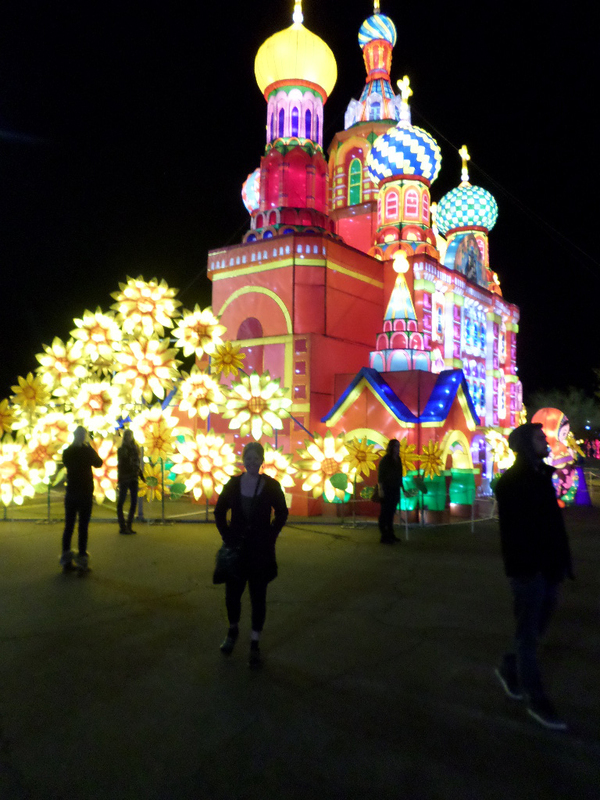 Me by the Kremlin lights. 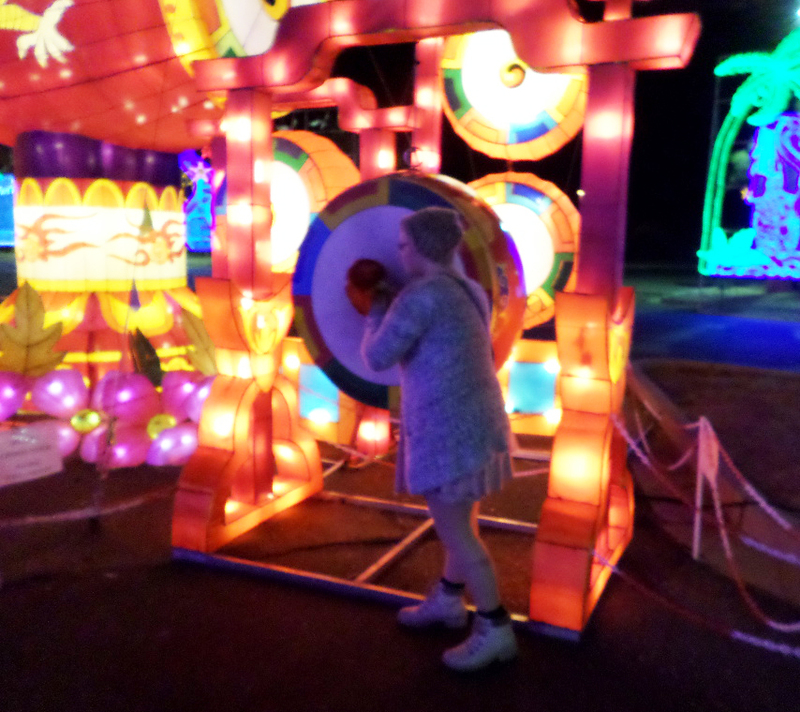 Naomi banging the Korean drum. 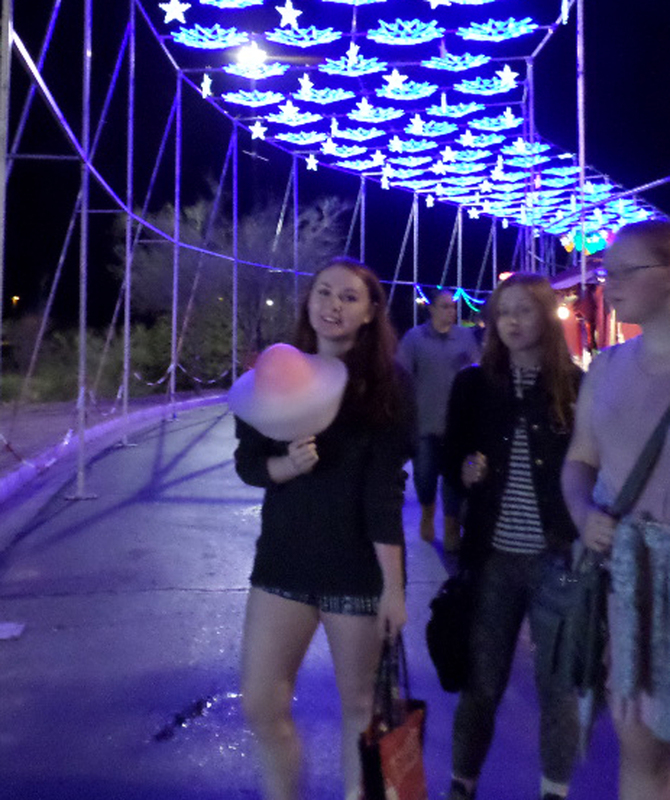 Phoebe picked up some fancy cotton candy that they sculpted in front of her. 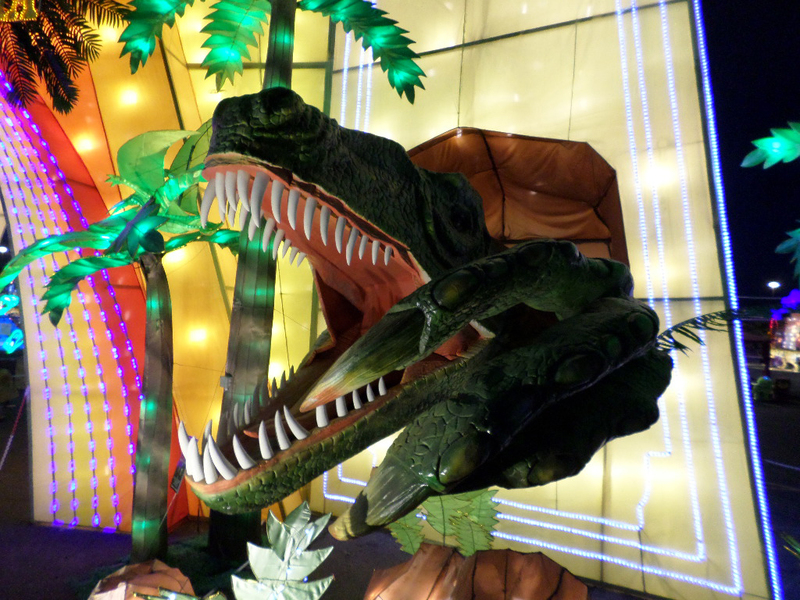 The big mouth dino by the entrance of Dinotopia. After walking around a bit we headed over to the light tunnel for the food and craft vendors. 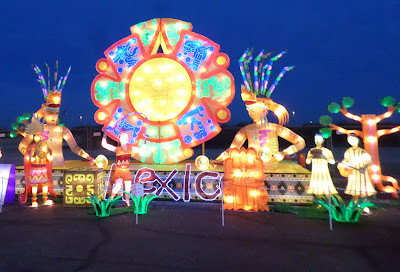 Though they advertised international food, it was really just one French Canadian stand selling fries with gravy, a lot of Chinese food, and Mexican (which is really just regular food in any state that borders Mexico). It was pretty good though, but it made us late to the acrobat show. Which I was way too busy watching to take any pictures. 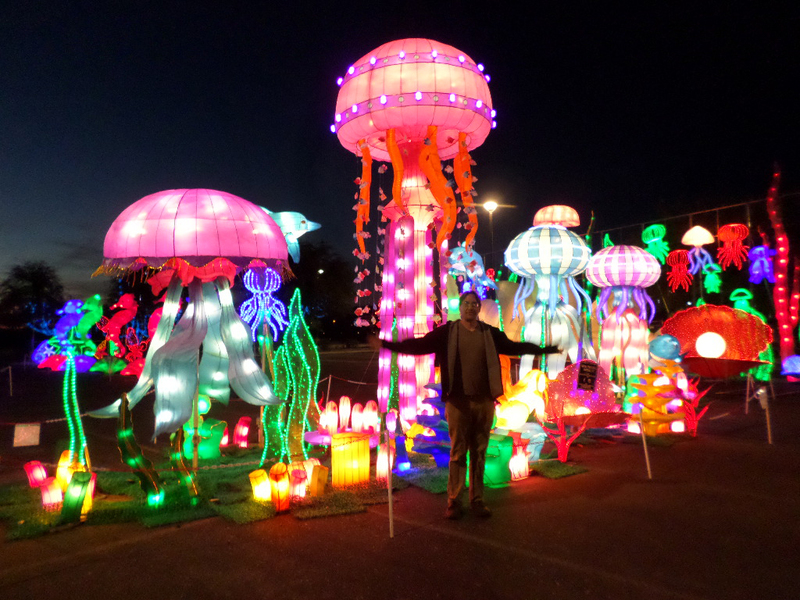 It was truly a spectacle! All in all a great night out!